During 2015 we celebrated EARTH’s 25th anniversary in a series of events that captured our history and set the stage as we look toward the future. For nearly 28 years I have had the distinct privilege of serving as EARTH’s founding president. As I anticipate my retirement at the end of 2016, it is satisfying to look back on all we have achieved since EARTH’s inception and exciting to think about what comes next for the University. EARTH’s early success is the direct product of several key factors. The first was the vision of the founders who understood that a new model for higher education was necessary to form transformative leaders capable of bringing significant, positive change to eliminate poverty, end hunger, stop violence, and promote peace. EARTH’s founders accepted our strategic, but very risky, proposal of a model that broke from academic tradition. 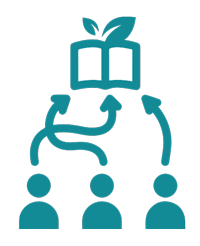 With their support, EARTH developed an integrated curriculum grounded in values, providing opportunities for economically disadvantaged youth -especially those from rural areas- to access a world-class education, and adopting an experiential and student-centered approach to learning and teaching. Thanks to the vision of our founders, EARTH’s model is gaining relevance among other universities and institutions and offers proof that with the right conviction it is possible to cultivate prosperity, justice, and respect for all life. From the very beginning, a commitment to a shared set of values was instrumental in setting the right tone for the University and for forging a clear path to realizing the mission. All those who became part of EARTH understood the challenges from the start. This identification with EARTH’s mission is what keeps our faculty and staff motivated and attracts new members to our community, including, of course, our students. Our innovative admissions process has also been key to our success. Our faculty personally interview the young leaders who come to EARTH and develop their competencies and capacities that empower them to improve the conditions of their families, communities, and countries. EARTH students represent a rich diversity of cultures and backgrounds and we make it our priority to ensure that each student receives the attention and resources that she or he needs to be successful. We have had the incredible privilege of creating something completely new. Every task we met with optimism and enthusiasm, attitudes that continue to characterize the institution today. 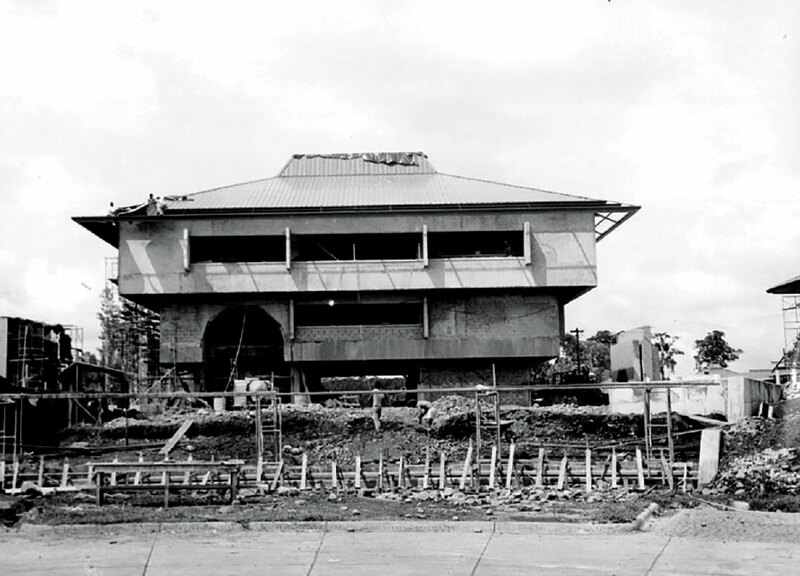 One of our first projects was to plan and construct the campus. 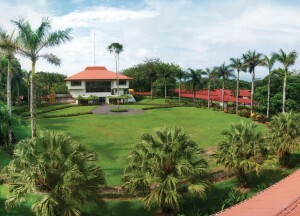 The campus was designed to ensure that the classrooms, laboratories, farms, and residences were all built in line with EARTH’s unique educational approach and environmental commitment. 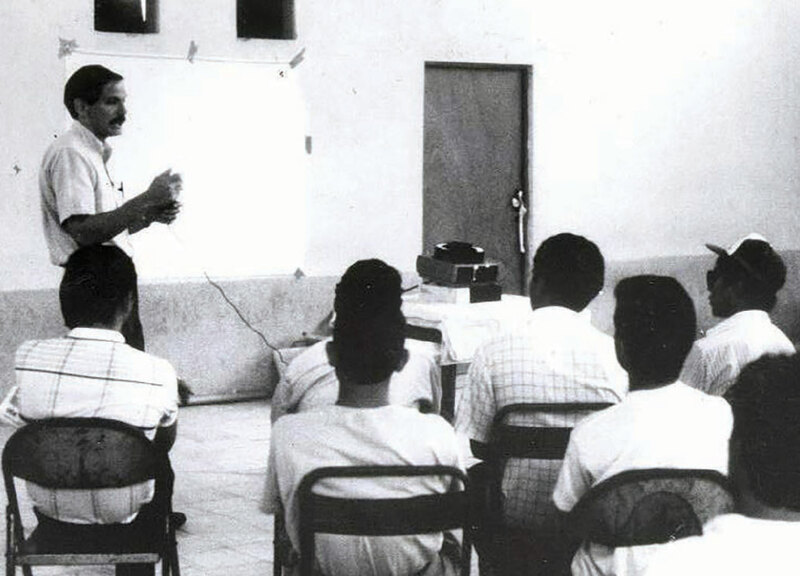 We formed an international faculty and immersed ourselves, as educators trained in distinct disciplines, in nontraditional teaching methods to facilitate student discovery and learning. As new professors join the faculty they too undergo this process. On the commercial side, we transformed our banana farm into an example of sustainability and led dramatic changes in the industry. I am reminded of many moments and special occasions after all these years, but a few stand out as particularly significant. 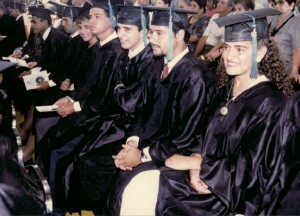 The first inauguration of classes in 1990 and our first graduation were defining moments for all of us. 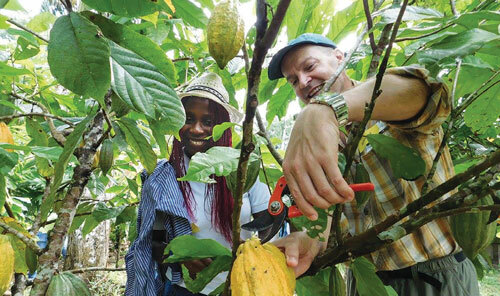 The Sustainability, Education and the Management of Change in the Tropics (SEMCIT) initiative can now be tied directly to our renown as a model for higher education in agriculture. Our 10th anniversary brought President Gorbachev to campus along with all of Costa Rica’s current and former presidents. Most recently, our nomination for the Nobel Peace Prize is an extraordinary indication of the impact we are having on the world around us. My time as president is drawing to a close, though EARTH will always be a part of me. There are tremendous opportunities ahead, and the next chapters in the book of EARTH will be as exciting as those already written. The vision for a scientific and technical park at EARTH-La Flor offers tremendous potential for our students and for the region. Graduate programs at EARTH, already underway, capitalize on our unique curriculum and open the door for advanced learning. I am proud of all that has been accomplished at EARTH. In closing, I offer thanks to all who have invested in EARTH for the difference you have made, and I ask that you continue your support well into the future. We cannot do this without you. 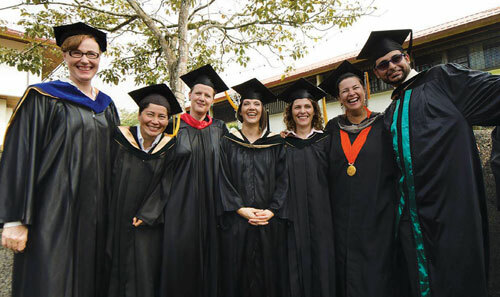 To our graduates, each one of you can help transform our planet into one of hope, peace, prosperity and dignity for all. Remember the values upon which EARTH was founded and carry them in your hearts. Each day presents us with the opportunity to advance the EARTH mission. Let us take every chance to continue to realize the EARTH dream. The University is dedicated to providing transformational education to students from rural communities and 70% of our students receive full scholarships for four years. 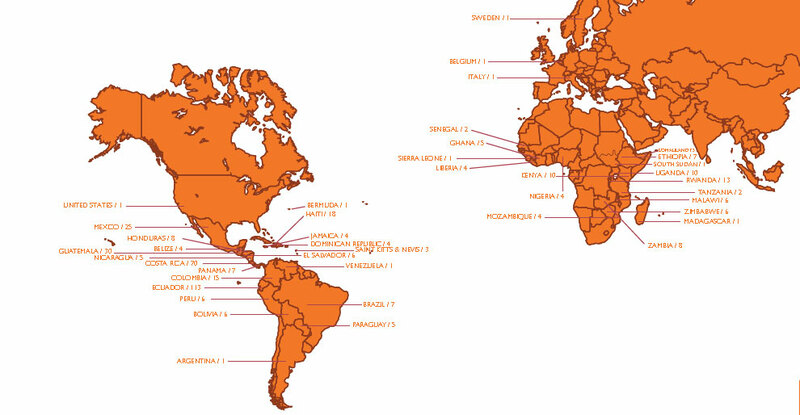 EARTH’s unique admissions process sends faculty to dozens of countries around the world to personally interview and select each candidate. The University maintains an 85% student retention rate, reflecting the supportive environment on campus and the quality of our scholars. The entering class of 2016 is the first class in EARTH’s history to have more women (56%) than men (44%). This achievement represents an important milestone in reaching gender parity across the entire university, which is currently 46% female overall. Eighty-five percent of students graduate in four or five years, a highly competitive rate compared to universities worldwide. With more than 2000 alumni across the globe, EARTH graduates are generating real and positive results in their communities and nations. Seventy-five percent of graduates surveyed in 2015 report having a direct and positive impact on the agricultural sector, primarily in increasing agricultural production efficiency, promoting the rational use of agrochemicals and integrated pest management, developing soil nutrition and quality, and conducting projects aimed at mitigating climate change. Seventy-nine percent of graduates surveyed report having a direct and positive impact on social issues, such as training farmers, increasing income for rural families, generating employment, improving working conditions and developing projects. The Community Development Program (CDP) successfully implemented actions in several nearby communities, reaching over 2,800 people last year. Our partnership with the Costa Rica Grameen Association (ACRG) has helped us collaborate with hundreds of rural women in entrepreneurial projects thanks to financing from microloans. 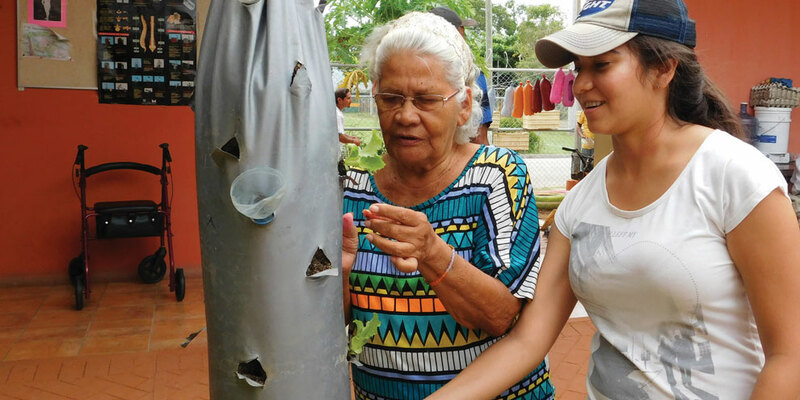 Over the past year, approximately 20 EARTH students have collaborated with Lidia Hernández Pereira to make technological improvements on her 10-acre farm as part of their work with EARTH’s Community Development Program. Working side by side, they have successfully introduced new crops and improved production, created an organic greenhouse, built a biodigester and started raising freerange chickens. EARTH has a ripple effect on the environment thanks to our graduates working to protect and improve environmental practices around the world and the efforts of our on-campus educational tourism program. Last year, the total number of tourists increased by 30%, with more than 8,400 visitors learning firsthand about our values and philosophy. In 2015, the Carbon Neutral Unit verified a total of 19 new organizations and maintained the verification of carbon neutrality in nine previously verified organizations. More than 1,000 people were trained by the Environmental Action Unit to create greater awareness for environmental issues in the area. The amount of recovered waste gathered for recycling and sales increased from 56 to 57 tons in 2015, with 47 tons of recoverable waste and 10 tons of compost. 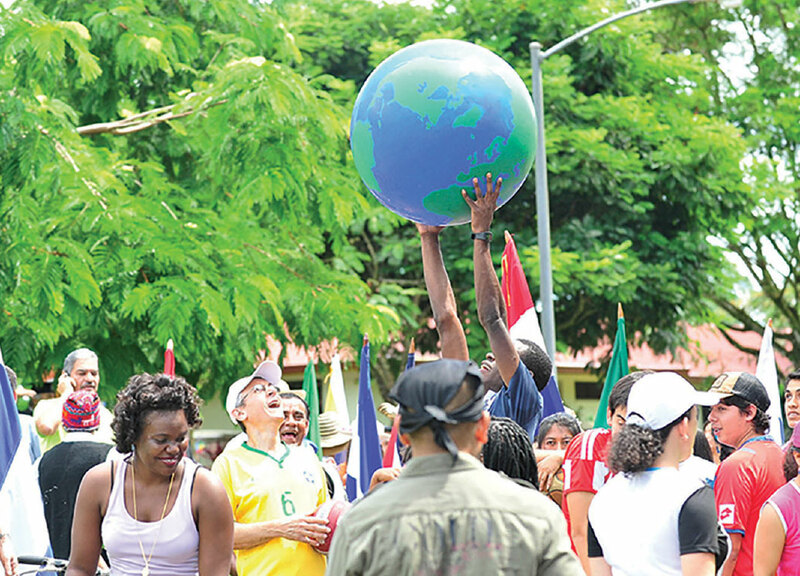 Seventy-nine percent of EARTH graduates surveyed in 2015 report having a direct and positive impact on environmental issues, such as soil and water conservation, biodiversity and wildlife conservation, waste management and climate change mitigation and adaptation. The German Ministry of the Environment, Nature Protection and Nuclear Safety listed the Center for Research and Development in Renewable Energies (CIDER) in its 2008-2014 work report as one of its worldwide exemplary projects, stressing the importance of international cooperation for the resolution of global problems. The REN@EARTH Project and CIDER were presented as one of the “21 good practices for sustainable low carbon development in developing countries” as part of the study “Exploring Sustainable Low Carbon Development Pathways”, published by the Friedrich Ebert Foundation, WWF, Actalliance, Climate Action Network, and Brot für die Welt. The examples presented in this publication are considered worldwide pioneers of change. EARTH is the only university in the world that requires all of its students to develop, run and close a real business venture during their undergraduate program, an approach that has proven to inspire an entrepreneurial spirit in our graduates. Twenty percent of our graduates run their own or family business. Of those, 80% have created new jobs through their enterprise. “EARTH has been the best decision of my life. Being here helped me become an entrepreneur, be more proactive and take initiative. I’ve traveled to other countries, thanks to the artisanal crafts I make. All the goals I set for myself, I’ve accomplished. The University changed my life, and I know in the future I will make changes in my rural area. 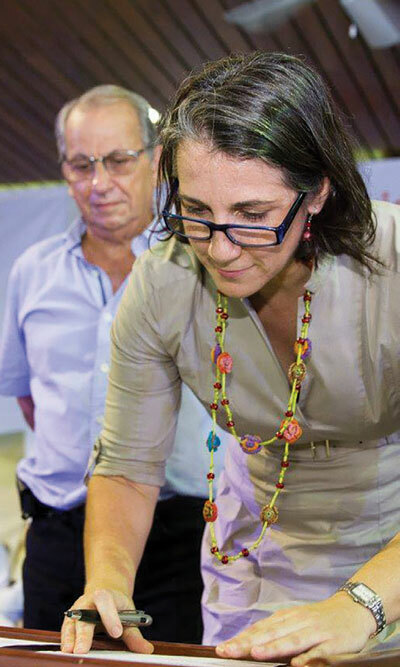 A group of Costa Rican visionaries partnered with the United States Agency for International Development (USAID), the W.K. 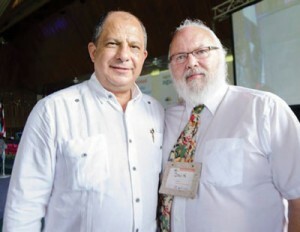 Kellogg Foundation and the Costa Rican Government to establish EARTH University. 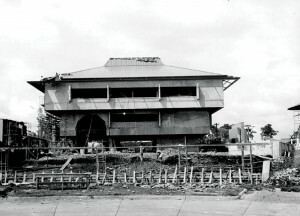 Construction of the University begins. 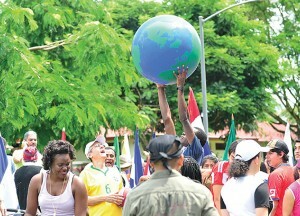 On March 26, EARTH inaugurates its first class with 60 students. EARTH graduates its first class of professionals in Agriculture Sciences and Natural Resource Management. 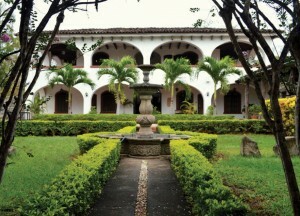 Oduber Elliot family donates La Flor Farm in the dry tropics of Guanacaste to EARTH University. 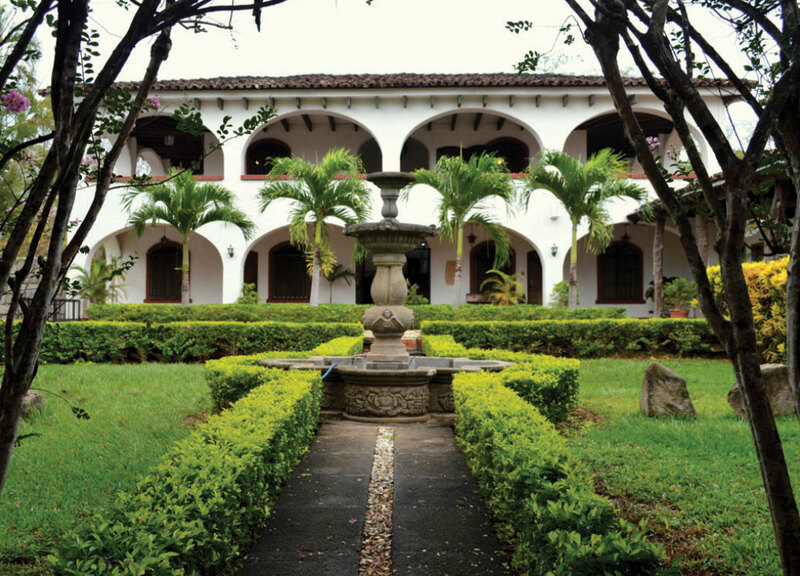 EARTH University is declared the first carbon-neutral campus in Costa Rica. 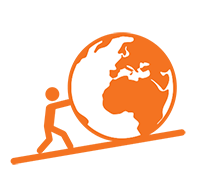 April 26th, 2012, EARTH partners with The MasterCard Foundation Scholars Program, greatly expanding our capacity to identify, interview and admit African students. EARTH celebrates its 2,000th graduate and 25th Anniversary as an institution dedicated to creating leaders of change. Pioneer graduate Edilberto Romero (‘93, Belize) was one of the first students who dared to believe in the dream of EARTH over 20 years ago. 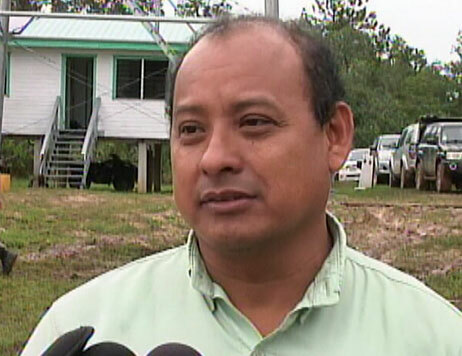 He is now the Executive Director of Programme for Belize, an NGO focused on promoting biodiversity and conservation in an area of approximately 260,000 acres. He manages several projects that are dedicated to biodiversity conservation, sustainable community-led development and agroforestry practices to help farmers improve their yields, increase revenues and reduce deforestation. His work is vital to ensuring the continued protection of forests and sustainable use of natural resources in the area. streams and restore forests. 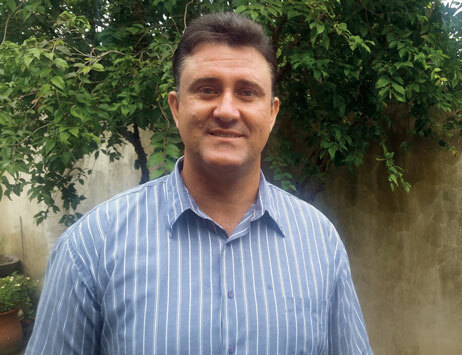 Today, he leads four silviculture technology development teams for a project with the government-owned Brazilian Agricultural Research Corporation (EMBRAPA), and is responsible for coordinating technical assistance for all of the silviculture plantations in the region. In addition, he works as a technical consultant for the Amazon Without Fire Project, a multinational initiative financed by the Brazilian Government, Italian Cooperation Agency, and the Development Bank of Latin America. Julio is also a university professor and teaches a course on technology in agribusiness. 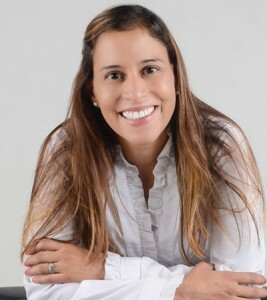 After graduating, Mayra Ruiz (’00, Colombia) returned to San Juan de Rio Seco, where she and her family run a coffee company called El Tabor. 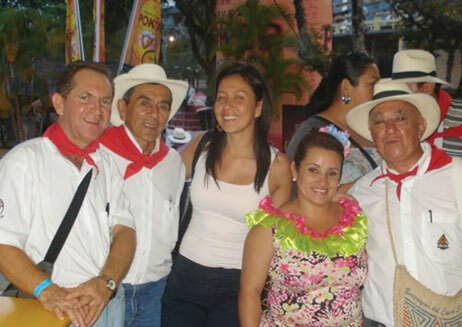 Mayra has also worked for the Colombian Ministry of Commerce, Industry and Tourism since 2010, leading a high-quality coffee exportation project sourced from small producers in 12 municipalities and two Nasa Wex indigenous reserves. The farmers sell to upscale coffee markets in the US and Japan, and Mayra helps them to better compete in a globalized economy that hinges on client satisfaction. Her work has had a ripple effect among the community: producers have more crop security and increased income for their families, young people see a future in farming and are less likely to migrate to the city, and locals are trained as expert coffee tasters and baristas. In September 2013, the New York Times reported that the Honduran government had awarded title of nearly 3,000 square miles in eastern Honduras to the indigenous Miskito people. 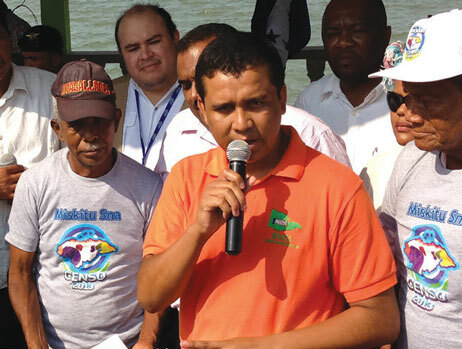 At the forefront of this historic achievement was Norvin Goff Salinas (’06, Honduras) who currently represents more than 100,000 people as elected president of the Coalition of Indigenous Groups of La Mosquitia (MASTA). In mid-2015, Norvin and the Miskito community celebrated another victory when they were granted another 3,000 square miles of territory in the Río Plátano biosphere reserve, an endangered UNESCO World Heritage site. 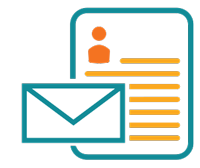 Under Norvin’s leadership MASTA has also worked to improve access to social benefits for more than 5,000 low-income families, and its economic development programs have directly benefited 12,000 families. In recognition of their contributions to sustainable development, MASTA was awarded the 2015 Equator Prize by the United Nation Development Program. 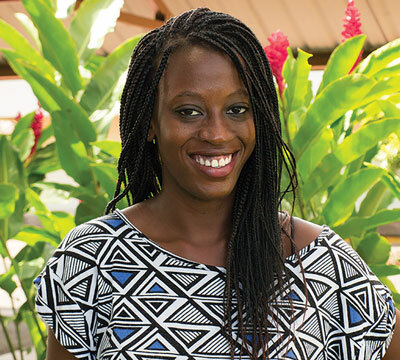 After graduation, Lynhe Demesyeux (’13, Haiti) started a professional internship at the IF Foundation and was later offered a full time position there. She worked as Co-Coordinator of the SRI (System of Rice Intensification) project, responsible for all scientific experiments at the organization. 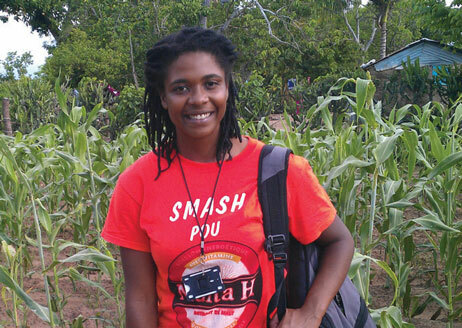 In 2015, she began working at SMASH (Smallholders Alliance for Sorghum in Haiti/Papyrus) working with small-scale sorghum farmers to increase their production with access training in modern sustainable practices, high-quality seeds and assessment by trained agronomists. Recently, Lynhe was promoted to Regional Manager for the Northeast department and supervises four other agronomists; together they work directly with more than 1,000 farmers. Lynhe also manages a research project that evaluates the properties of sorghum varieties, with the goal of defining which ones are optimal for the region. Guided by the belief that all children should have an equal opportunity to thrive, the W. K. Kellogg Foundation works with communities to create conditions that propel vulnerable children, so they can realize their full potential in school, work and life. The Kellogg Foundation understands the critical role education plays in development, and Mr. Kellogg himself noted that “education is the best way for truly improving one generation over another.” In 1984, the W.K. 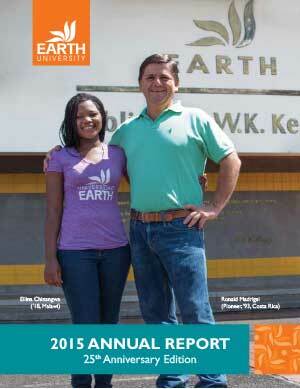 Kellogg Foundation generously funded the feasibility study that made EARTH University a reality. 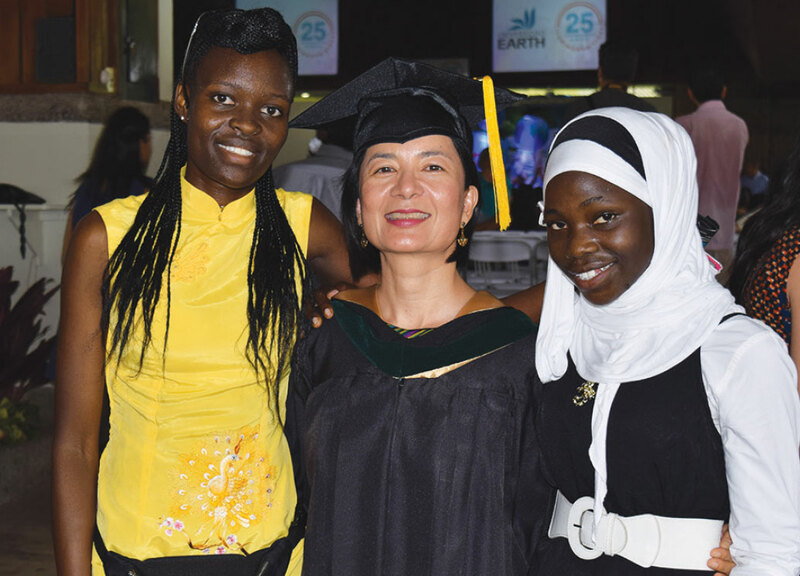 More than 30 years later, the Foundation has provided scholarship support to hundreds of young leaders at EARTH. The MasterCard Foundation seeks a world where everyone has the opportunity to learn and prosper. All people, no matter their starting point in life, should have an equal chance to succeed. 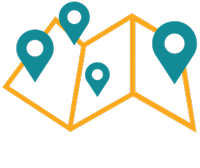 The Foundation focuses on helping economically disadvantaged young people in Africa and Latin America find opportunities to move themselves, their families and their communities out of poverty to a better life. The partnership between EARTH and The MasterCard Foundation’s Scholarship Program has allowed hundreds of students worldwide who may not otherwise attend college have the opportunity to study at EARTH. Since the company’s inception in 1919, Cummins has invested talent, passion, and resources into trying to solve problems in our communities and society as a whole. 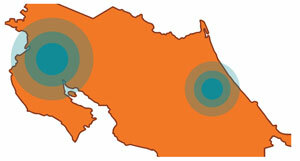 Cummins firmly believes a company is only as healthy as the communities where it does business. As one of the first corporate foundations, the Cummins Foundation was created in 1954 and has served global communities. 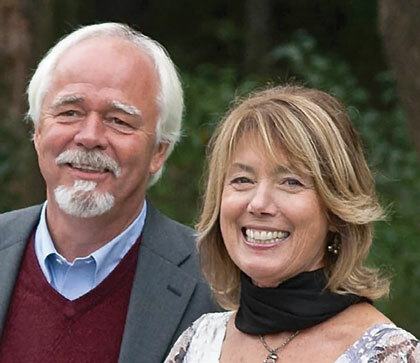 A former Cummins Executive on loan to EARTH stated, “More so than any other effort in which we are involved, EARTH’s mission cuts across all our corporate responsibility priorities at Cummins.” With the support of their Foundation, EARTH now has its first endowed professorship as well as many endowed Cummins scholarships. The U.S. Agency for International Development (USAID) had been working in the region for decades when the concept of EARTH was proposed. 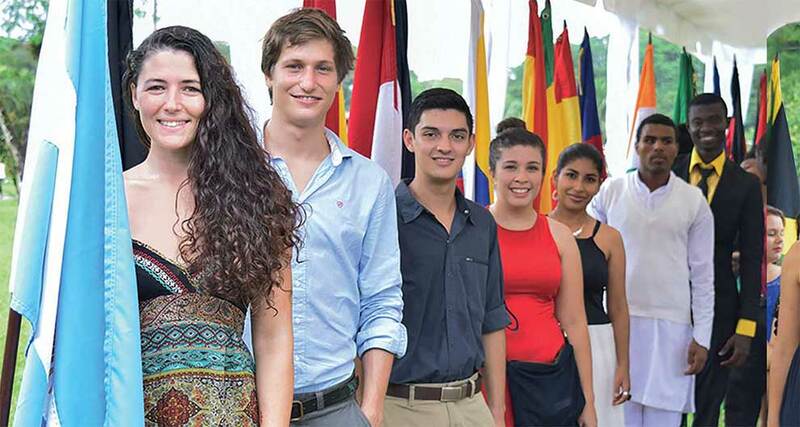 With strong support from the Costa Rican Government, USAID approved their largest commitment in their more than 30 year presence in the country to help establish EARTH University. 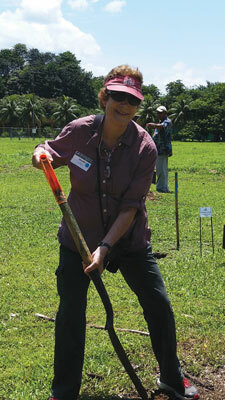 Today, EARTH remains one of USAID’s most important legacies in Costa Rica. This partnership continues through the support provided by American Schools and Hospital’s Abroad (ASHA). Investments by USAID/ASHA have been critical for expanding and maintaining the University’s infrastructure, and have enabled the institution to dedicate more resources to providing scholarship to deserving students. Recognizing the importance of higher education in poverty alleviation, in 1996, the Norwegian Agency for Development Cooperation (NORAD) began a long-term partnership with EARTH University to promote economic prosperity and social well-being in Central America. In this time, Norway has provided scholarships for students primarily from Nicaragua, Honduras and Guatemala. 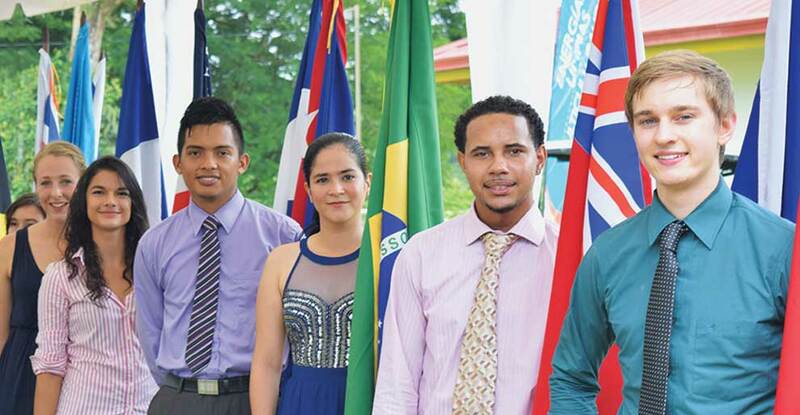 Two years after the start of the relationship with NORAD, the Swedish International Development Cooperation Agency (SIDA) also began a long-term partnership with EARTH providing scholarships to students, primarily from the same three Central American countries. 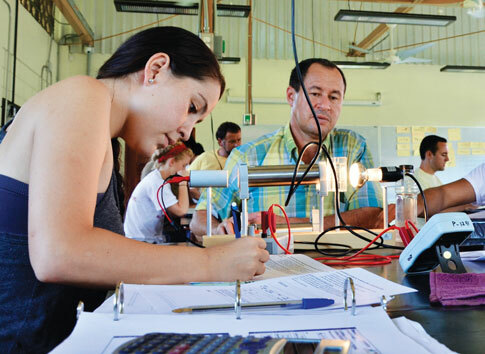 Together, NORAD and SIDA have supported hundreds of scholars within Central America. “EARTH is one of the few places that provides an intersection for our interests. Kim is very passionate about organic gardening, food safety and sustainability, and I am passionate about education and global development, particularly in emerging economies. EARTH is where we get the best of both worlds and something that feeds both of our passions.” EARTH’s next 25 years: Looking forward to the journey! As EARTH celebrated its 25th Anniversary, there were numerous examples of the positive impact of our investments. Thousands of new pathways exist in the world today through the work of our graduates. Each pathway has been illuminated by generous supporters around the world. 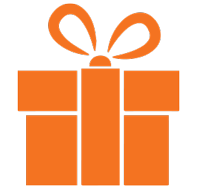 A special thank you to those Illuminators who have made transformational gifts of one million dollars or more in EARTH’s first 25 years. ECOin (Intergenerational Environmental Stewardship Conference) was held at EARTH University’s campus from November 5-6, 2015. The conference sought to unite generations with the common goal of creating innovative solutions to combat the effects of climate change and advance global sustainable development as a shared responsibility between the generation of young leaders and adult generation leaders represented by existing policyholders, world leaders and opinion makers. 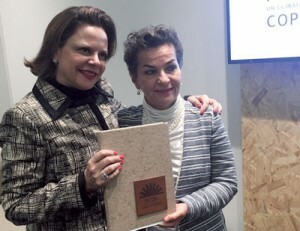 Over 600 people participated, including President Luis Guillermo Solís and First Lady Mercedes Peñas, Rebecca Grynspan, David Ives, Cristiana Figueres, Franklin Chang Diaz, finalists from the 2014 Greenovators competition, EARTH faculty, students and alumni and more. The event culminated with the signing of a document that was officially submitted to the COP 21 Climate Change Agreement in Paris. The trust and partnership we receive from our internship sponsors across the globe makes it possible for every third year EARTH student to gain invaluable work and life experience through a 15-week professional internship in the field of their choice. 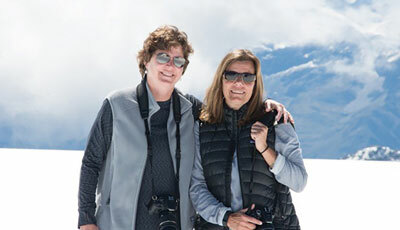 EARTH’s talented and diverse faculty members are responsible for creating a participatory and experiential learning environment that provides students with the resources and experiences necessary for their academic, personal and professional growth. The EARTH-La Flor campus, located near the city of Liberia, Guanacaste, has created and fostered an active presence of the University in the region, instilling a mark of EARTH’s educational approach in more than 24 communities. 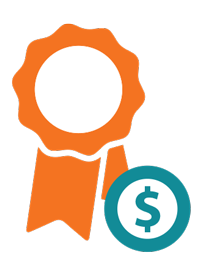 Both private and public organizations have benefitted from the activities and many small and medium sized entrepreneurs, community organizations, schools, and groups have also reaped the benefits of the student and faculty involvement. Concerned for the drought-stricken region as a result of the effects of El Niño and climate change, EARTH has actively sought and generated opportunities to work with local cattle producers with their challenges, starting with animal nutrition, food availability as well as improving the quality of traditionally available foodstuffs. Plans are in motion to build the Center for Excellence in Precision Agriculture – a joint initiative with EARTH-La Flor and NASA-JPL in Los Angeles, California. 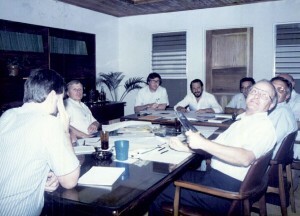 With the creation of the Center, EARTH and NASA hope to create more jobs in the sector, promote efficient use of resources in agriculture throughout Guanacaste, and help the region adapt their production practices to the increasingly dry climate, which has already had a negative effect on farmers and ranchers. 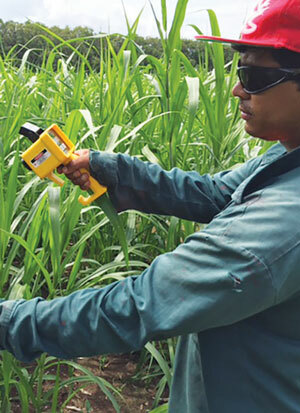 Starting in the second half of 2015, EARTH-La Flor began researching climate change adaptation, focusing our efforts on mango, forage, hay and silage production. Our strategy is to develop new ways to manage mango plantation renovations, insect pests, nutrition, and water management. its sustainability. Some include: water, crops and new approaches in animal production. They also are exposed to many of the industries and agribusiness ventures in the region, and their challenges and strategies, all of which help them to be better prepared for their professional life. *University Operations Budget for 2015 was $ 17.3 million plus an investment of additional $1.7 million in fundraising, for a total 2015 expense budget of $19.2 million. We recognize and appreciate the generous support of the following donors whose gifts were received from January 1- December 31, 2015. These individuals, businesses, foundations, governments and international organizations make the continued fulfillment of our mission possible. The Isaf Family Foundation, Inc.
Corporación Inmobiliaria La Cabaña S.A.
FULL GENDER PARITY IN THE UNIVERSITY. poor live in rural areas. around the world visit EARTH to learn about our work. with most receiving full scholarships. that the world needs most. I am looking forward to bringing back my own knowledge to Mozambique, where my people are facing an economic crisis. When I graduate and start my own business that creates job opportunities in sustainable agriculture, I will have created another ripple of positive change in the world. 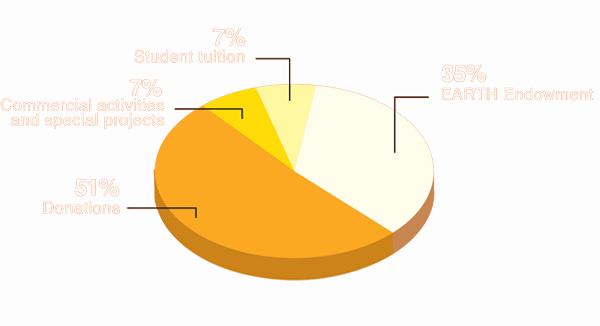 It is all thanks to the generosity of donors that I am realizing my dreams at EARTH University. Their encouragment and investment in me have changed my life, and I too have learned how to change the lives of others.